You won't find one of the NYFF's most exciting discoveries playing in the cavernous Alice Tully Hall as part of the festival's main slate. Instead, you'll have to brave a trip to the Lincoln Center's relatively tiny Walter Reade theater to catch this gem as one of the NYFF's Midnight Movies, Berberian Sound Studio, a true festival sleeper if there ever was one. The intimacy is appropriate given that some might say Peter Strickland's small, imaginative movie is thin, spare. And they wouldn't be entirely wrong. Berberian Sound Studio is kind of a doodle, a loving tribute to the giallo, an Italian horror genre that often features a "normal" person slowly driven mad by phantasmagoric events around him. In Berberian Sound Studio, this person is a British sound engineer named Gilderoy (Toby Jones), hired by demanding producer Francesco (Cosimo Fusco) to try to save his floundering low-budget giallo film in post. Strickland blocks the viewer from ever leaving the claustrophobic Berberian Studio the same way Francesco forces Gilderoy to stay. Gilderoy's only remaining tether to the outside world are banal letters from his mother regarding birdwatching, something that on an elemental level recalls Psycho's Oedipal Norman Bates and his love of taxidermy. They also speak to the length of time Gilderoy spends in post-production. As the disquieting sounds of torture and grisly slaughter reverberate through Gilderoy's mixing room, they place the unassuming technician in a hallucinatory state of unease many times more disturbing than the one the movie's audience already feels. Before long, fiction and reality start to blend in a way that makes it difficult to discern whether Gilderoy is working behind the scenes of or starring in Francesco's film. The movie correlation to Berberian Sound Studio that immediately comes to mind are the first few scenes of Brian De Palma's Blow Out (and by extension, one could argue, Antonioni's deceptive Blowup). Blow Out's opening fools you into believing the film is just your typical 80s slasher flick until its terrorized female victim lets out more of a mild yelp than a scream. It's only then that the viewer is allowed to see what's really being shown, a mix session for a horror film in which the yelp must be looped by a more accomplished female "screamer." Strickland goes further than De Palma did, restricting the viewer even from seeing any part of the film after its opening credits. Instead he hones in on the Foley techniques utilized by Gilderoy and his sound crew. He showcases the bloodcurdling screams, gurgles and gasps by otherwise ordinary looking voice actors. And Strickland wrings these for as much horror as he can squeeze out of them by first marrying them to confusing extreme close-ups that evoke a terrifying whatsit, before pulling back to reveal a rather pedestrian MacGuffin. 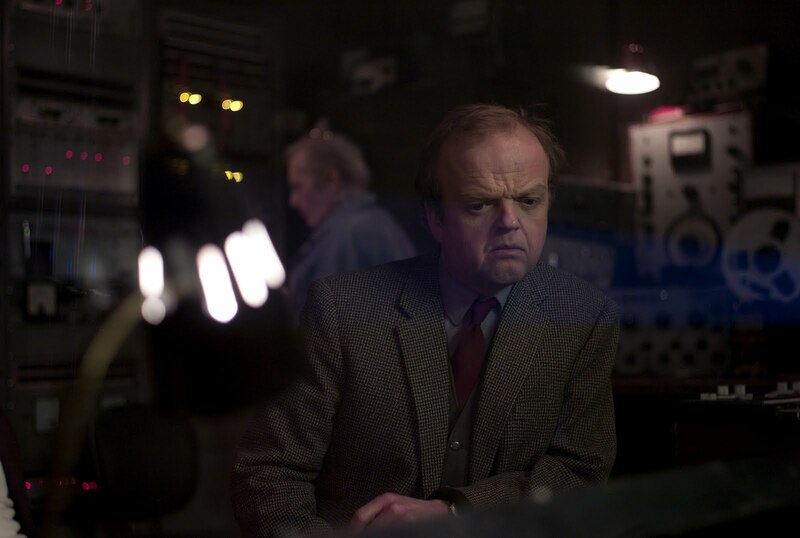 What makes Berberian Sound Studio so fun, and even thrilling at times, is that Strickland doesn't simply manipulate you or try to astound you with his arch cleverness. No, he pauses and explains enough to invite you to follow him on his downward spiral into a creepy, alternate aural dimension. 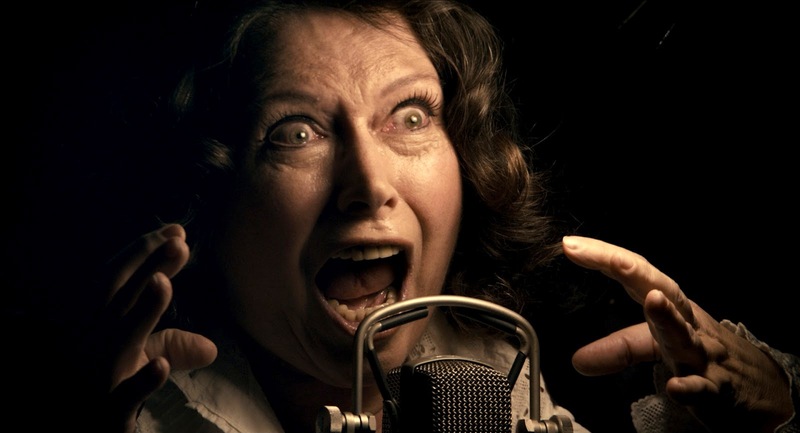 It's your complicity in Berberian Sound Studio's effects that make you lower your guard, allowing Strickland to move you exactly where he wants you to, and overwhelm you with his gleeful application of fear. 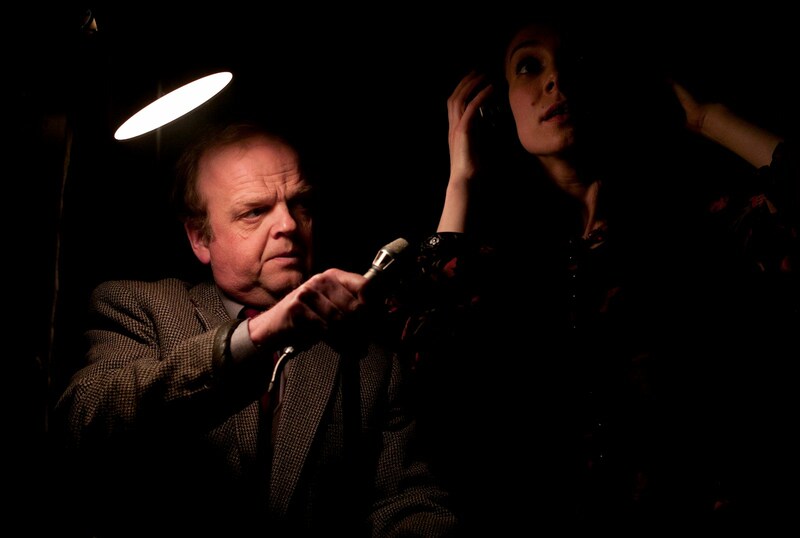 The eerie Berberian Sound Studio is not to be missed. Berberian Sound Studio is playing at the 50th New York Film Festival as part of its Midnight Movie sidebar tonight at midnight at the Lincoln Center's Walter Reade Theater, 165 West 65th St (north side between Broadway and Amsterdam, upper level), New York, NY 10023; and at 1 pm Tuesday, October 9th at the Elinor Bunin Monroe Film Center's Howard Gilman Theater, 144 West 65th St (south side between Broadway and Amsterdam), New York, NY 10023. For more ticket information go online here, or call (212) 721-6500. Writing about this one (and ROOM 237) for AFI fest, Tony. Sounds fascinating. A typically fine piece from you too. Thank you, Dennis. As much fun as it was to write this, I'm even more excited to read what a true horror fan like yourself has to say about it. Can't wait to read your piece.